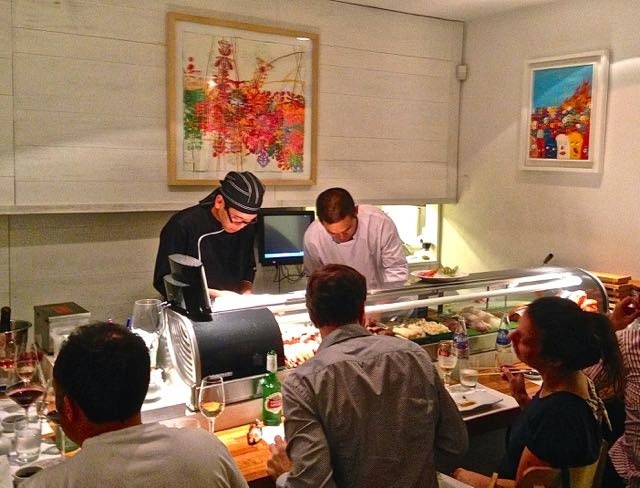 Some years ago, in a conversation with the late Buenos Aires Herald food and restaurant writer Dereck Foster, I mentioned my enjoyment of take-away sushi from the now defunct Libélula, a Nikkei-Peruvian restaurant around the corner from our apartment in Palermo. Taken aback, Dereck responded that he preferred his sushi prepared on the spot but, as he hadn’t yet been to Libélula, I informed him that I always relaxed with a pisco sour at the bar as the chef prepared my dinner – on my part, this was a utilitarian means of enjoying diverse, well-prepared seafood without the time and cost commitment of a sit-down dinner. Libélula later moved to a nearby but less pedestrian-friendly area and then closed. For a while, a branch of Dashi filled the vacuum with lesser but more than palatable sushi, but that also closed. On my recent stay in the city, I found three sushi takeaways within a couple blocks of our place and tried two of them, but was badly disappointed with the Philadelphia roll approach to most items on their menus – to my mind, cream cheese and sushi don’t mix. I don’t necessarily need gourmet preparation, but I longed for something like the moderately priced but freshly prepared supermarket sushi we get from Berkeley Bowl. Then, I got a surprise. 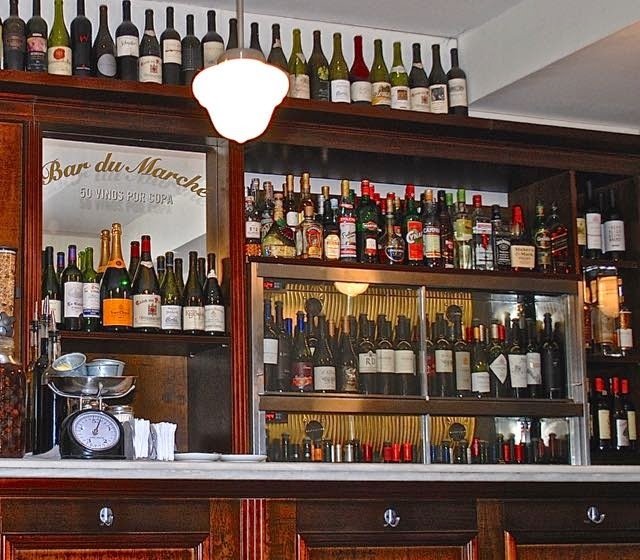 During my recent stay in the city, I had paid a visit to Palermo Hollywood's Bar du Marché (which I have described in a separate post) for a light lunch and a glass of wine. Then, a week later, a Norwegian acquaintance suggested we try the sushi at Club M Omakase which, he assured me, was straight upstairs from the Bar du Marché. 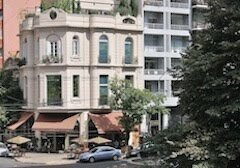 I had visited the location even when another wine bar occupied the premises, but I had never even glanced above street level. This time, when I did, I saw a lighted first-floor (barely visible in the photo above) but no clear indication as to what was going on there. Just before I entered, the phone rang and my friend informed he and his wife would be a few minutes late, so I could wait in the wine bar (pictured below). As I did, I searched the premises for a route to the first floor (the second floor in US English, but Argentines’ planta baja is equivalent to the British usage “ground floor”). I took a seat, informing the waitstaff that I was anticipating the arrival of friends, but still couldn’t see any obvious way to reach what was, so far as I could see from outside, directly above me. As it happens, there was a cleverly disguised doorway, where a steep right-angled staircase led to a small dining room, with bar seating for perhaps half a dozen and for another ten or so at a large but divisible table. 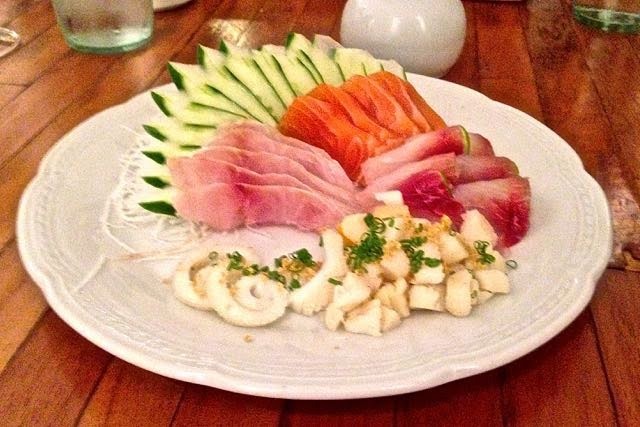 We took the table, and proceeded to enjoy what, in my experience, was the finest sushi ever. It started with a diverse plate of sashimi (pictured below) and went through six additional courses that I’m not going to describe in any detail because my friend Dan Perlman, who’s more of a food scholar than I am, ate there around the same time period and reviewed it on his SaltShaker blog. I’ll just share another photo or two. 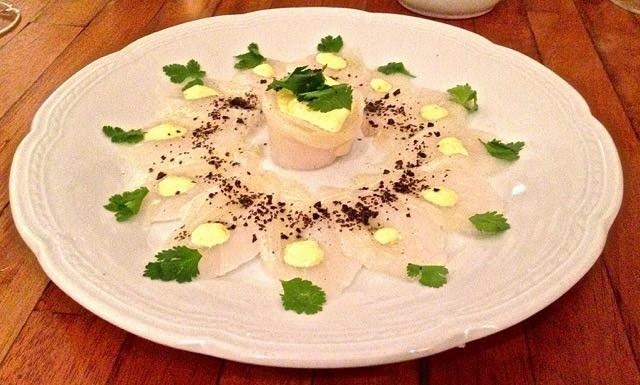 We particularly loved the tiradito of sole (pictured below) and when, as the end approached, the waiter asked if we’d like to repeat any of the courses, that was our unanimous choice. I’ll also speak up for the panko-coated prawns with almonds and sweet potato, but I would have happily repeated anything else on the menu. With its apparent seclusion, Club M superficially mimics some of the speakeasy-style puertas cerradas restaurants that have become such a notable part of the Buenos Aires dining scene. Dan notes, though, that Club M is, strictly speaking, not a member of that club. Unlike true “closed-door” restaurants, it operates as part of the wine bar rather than as reservations-only option in the chef’s apartment or house (though reservations are advisable). 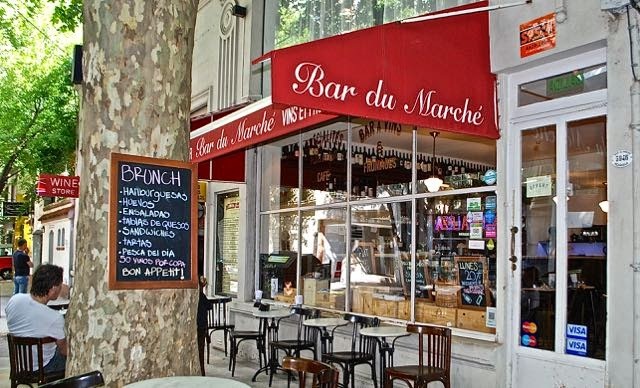 It’s worth adding that, while the Bar du Marché is a moderately priced lunch or dinner option, Club M is not cheap. The tasting menu, which we chose, cost 450 pesos (upwards of US$50 per person at the official exchange rate, about US$35 at the parallel “blue” rate). Drinks (taken from the bar’s large selection) are extra. All that said, I’m keen to return, though I couldn’t justify the expense to do it on a frequent basis.